Improved AD/DA Conversion with external synchronization/clock? Marketing leads us to believe that AD/DA Conversion will improve with external synchronization/clocks. This is not the case. It’s no mystery that multiple digital devices need common clock reference to communicate properly. Large studios need common (house clock) to communicate from device to device & room to room. But do personal project studios benefit from external synchronization? Jitter – The deviation in or displacement of a digital signal. Small variations in a waveform. IMD – inter-modulation distortion is the unwanted amplitude modulation of signals containing two or more different frequencies in a system with nonlinearities. In almost all cases a device locked to external reference will measure decreased performance in every one of these areas. (Found & not limited to Apogee, TC, Avid/digidesign, Lynx, AMS-Neve, M-audio, Prism, Aphex, Focusrite, Studer, ect). 12 Responses to Improved AD/DA Conversion with external synchronization/clock? Ya know, I tend to wonder about this for the newer high end standalone interfaces, like the Lynx Aurora or Apogee Ensemble, but I’ll tell you without a doubt that I noticed a dramatic improvement in fidelity when I clocked my Digi 882/20s (I know, I’m living in the past). It’s great to see a side by side unbiased analysis though! You’re not saying WHAT external clock you use, just that you clock them with an external clock. I have found an improvement with old creamware a16 converters clocked to an black lion audio microclock. But I do believe that’s probebly a design flaw in the a16 converters. The D-scope generates the clock reference, You would be hard-pressed to hard find a better clock. 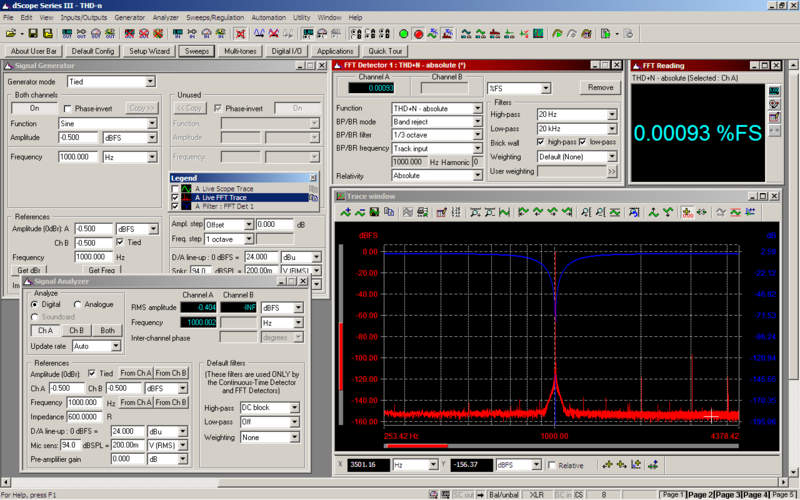 This D-Scope was just sent in & re-aligned to France Inter, Allouis 162kHz reference 2 months ago. But it’s not entirely true that project studio don’t benefit from clocks I think. In my setup i’ve got 2x RME HDSP with 2x creamware a16ultra. I used to have 1 a16 as master, going into the RME, RME1 clocking RME2 that that going into the second a16ultra. I have also tried 1 a16 clocking the other and both clocking 1 RME. That way there was no link between the RME cards. This wasn’t 100% stable. The difference between those setups and having it all clocked to the central black lion audio clock, which has 3 outputs that are splittable to make it 6 is mainly noticable in highhats etc, which are a lot “crispier” and have better (sharper) transients. Beside that, the a16 seems to have better transients in general clocked to the BLA. But the more test like this I read the more I’m starting to think this is a flaw, like I said in my first post. Try a null test & see what the differences are. What ever doesn’t cancel is what your hearing. Create a AD/DA loop & record a piece of audio with your different clocking setups. Another thing i’ve noticed is that they are also VERY close to the original file(the distortion was there in the original also), while these are sub1000 euro converters (used even 250-500). I guess that would be another cool test: comparing “low end” converters like these with high end ones and see which ones give the least distortion in loopback tests. And see what difference there REALLY is..
“Right on. External clock is in most cases just a distortion inducing device and many people seem to like this coloration and call it improvement. All evidence (in this case FFT distortion plots) has always proved only that. External jitter induced by external clock typically emphasizes midrange what is then mistaken for “warmth” or “forward” or “focus”, while at the same time bass and highs suffer loss of resolution. Money would be better spent on a nice tube EQ instead. External clock can make sense when used to synchronize complex digital systems but it “improving” sound is the biggest audio myth ever. “This is true. Michal is very good at designing low jitter clocks. We have had many discussions about these issues. He is able to produce an internal clock with less than 10 ps of jitter. However, run that down 3~4 inches of PCB trace and it goes up to 100 ps. Run that down an external cable and all hell breaks loose. This is why the clock signal is regenerated internally even if using a so called “clean” external clock. Your digital gear will never get those low jitter specs of your master external clock due to these issues. In the regard of the information given by Mytek and Jim Williams, I wonder which converter I am better off to use as a master clock, as I suppose the slaved units will suffer from greater jitter/distortion then my master unit ? ( Using UA 2192 for SumBus ADDA here together with an UA Apollo for Tracking/Mixing and an SSL Madi 16-4 for DA into a analog Sumbus. I wonder why the tested devices has a similiar jitter values and none below 1ns, that is really bad. also the THD seems to good to be true. Its hard to believe. Since our Aurora was mentioned here I thought I would add some additional input. First of all this is an excellent topic for discussion. I wholeheartedly agree with the conclusions and opinions. An external clock should not improve the performance of a converter if its clocking is designed properly. It should be used as a studio synchronization device. Expensive radioactive clock generators fall into the category with $10,000 one-meter speaker cables – the more you spend the better you think it sounds and you can impress your friends! I do believe that using an external clock can change the sound, but the downside is that the change is caused by signal artifacts from increased jitter or other noise injected in the converter. This is contrary to the concept of accurate conversion. In regard to the test results, they are probably adequate for relative comparisons but not for absolute performance analysis. I gather from Eric’s posts that the measurements were made with a Prism dScope III. It is a decent analyzer which we use for in-house pass/fail testing, but it is not capable of measuring the full performance of our Aurora. Our performance measurements are made with an Audio Precision SYS-2522 or SYS-2722. 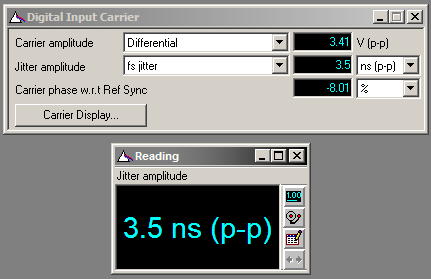 The dScope has a specified residual jitter of 1nS which means it cannot measure jitter below 1ns. We use a Stanford Research SR620 timing analyzer to measure the jitter of the actually sample clock (not the AES output) which drives the converter. For an Aurora the RMS jitter is 25 picoseconds. On the dScope the residual THD+N of the analog output is typically 0.00063% and the residual THD+N of the analog input is 0.00040%. This means that any THD+N test results near these values are not entirely reliable. Also, I always stress that any performance test result must be qualified. For THD+N readings it is important to include the signal amplitude and frequency, measurement bandwidth, weighting filter, and sample rate. Variations in these parameters can affect the test result by orders of magnitude. Believe me, I do not mean to discredit Eric’s findings. The conclusion is valid and is supported by our own tests. I just wanted to add some clarification because we have received some inquiries from current and potential customers that in particular were concerned about the jitter results. @Bob Thanks for the response. 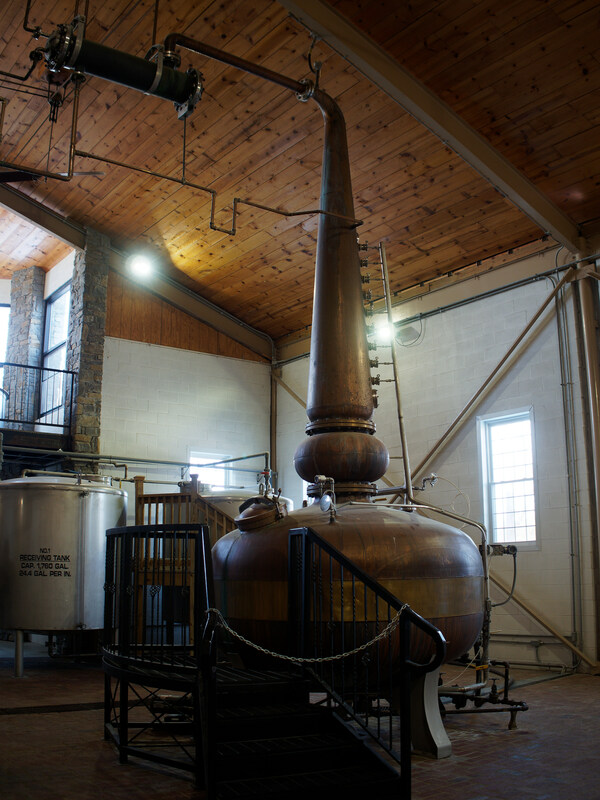 It’s nice to get the point of view/insight directly from manufactures.